Pro Se Press unleashes new collection of Pulp Stories starring The Velvet Wasp! 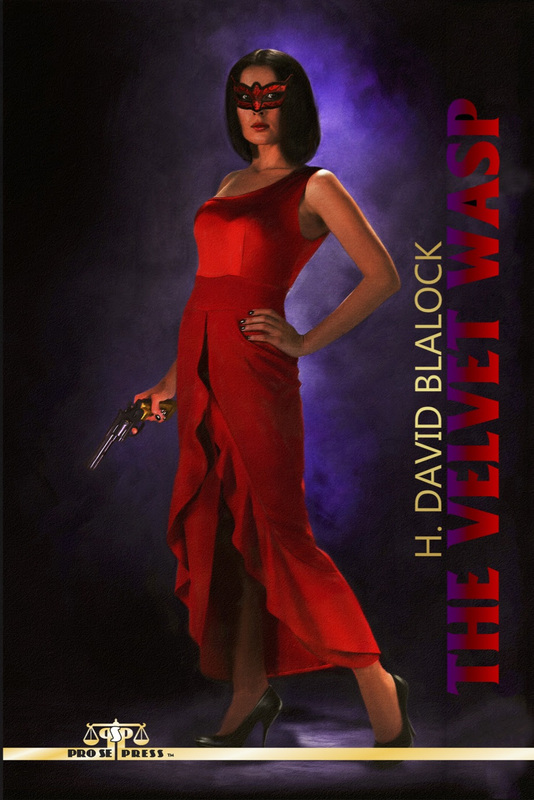 With a captivating cover and logo design by Jeffrey Hayes and print formatting by Marzia Marina and Antonino Lo Iacono, THE VELVET WASP is available now at Amazon at https://www.amazon.com/Velvet-Wasp-H-David-Blalock/dp/197927326X/ref=tmm_pap_swatch_0?_encoding=UTF8&qid=1515985175&sr=1-1 and Pro Se’s own store atwww.prose-press.com for 14.99. This action packed collection is also available as an Ebook, designed and formatted by Lo Iacono and Marina for only $2.99 for the Kindle athttps://www.amazon.com/Velvet-Wasp-H-David-Blalock-ebook/dp/B0773DGTN4/ref=tmm_kin_swatch_0?_encoding=UTF8&qid=1515985175&sr=1-1. This book is also available on Kindle Unlimited, which means Kindle Unlimited Members can read for free.